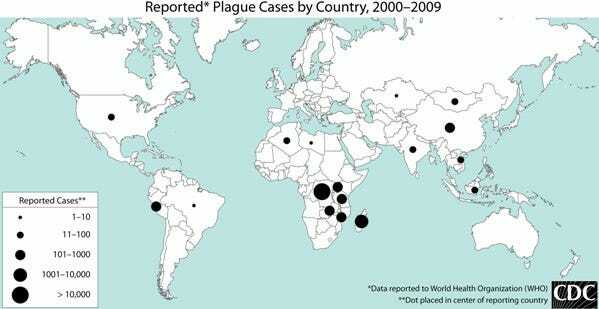 Madagascar is currently experiencing an outbreak of the plague, the disease once known as the Black Death, the World Health Organisation announced recently. The first case was reported in August. As of November 19, there have been 119 cases and 40 deaths. 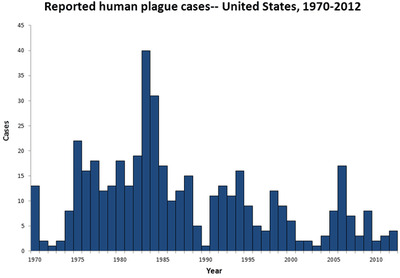 The plague is spread among rodent populations by fleas, who can also infect humans. Symptoms include fever, chills, weakness, and swollen, painful lymph nodes. Usually, a bite from an infected flea leads to the bubonic plague, which can be treated with antibiotics. But if the bacteria enters the lungs, it can turns into pneumonic plague, a far deadlier version that can cause respiratory failure and spread person-to-person by coughing. Two per cent of cases in the Madagascar outbreak have been pneumonic. Of particular concern in the current outbreak is Antananarivo, Madagascar’s capital and largest city, where two cases and one death have been reported already. “There is now a risk of a rapid spread of the disease due to the city’s high population density and the weakness of the healthcare system,” the WHO warned in a press release, adding that the local flea population has developed a high resistance to deltamethrin, a popular insecticide. National Institute of Allergy and Infectious Diseases (NIAID)This digitally-colorized scanning electron micrograph (SEM) depicts a number of purple-coloured Yersinia pestis bacteria, the pathogen that causes bubonic plague. 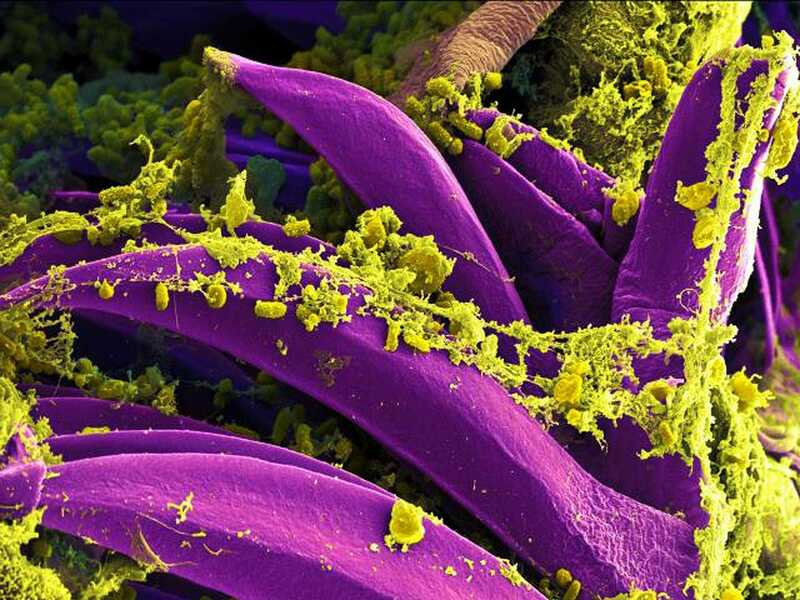 Madagascar’s rat-infested jails have contributed to plague outbreaks there before. “An average of 500 cases have been recorded on the island every year since 2009,” The Guardian reported last year. 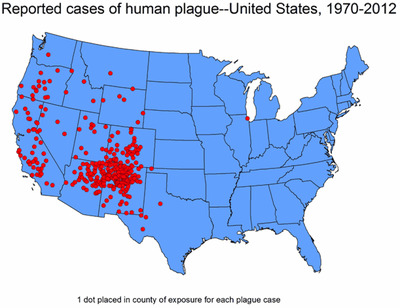 Over the summer, the news that a Colorado man was diagnosed with the plague may have left some wondering: Does that still happen here? The answer, somewhat surprisingly, is yes. 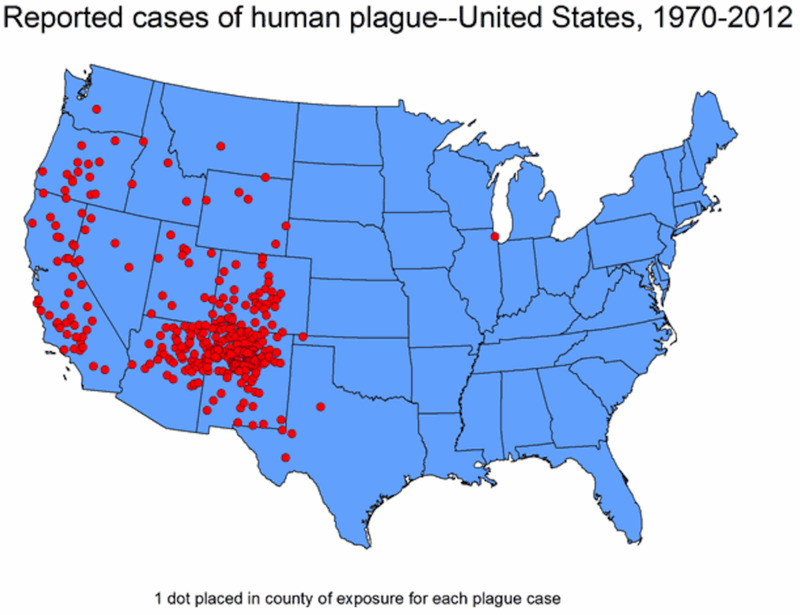 While the last plague epidemic in the United States was back in 1924, when 37 people died in Los Angeles, the much-feared disease still surfaces in Americans from time to time, though it’s very infrequent — and fully treatable with antibiotics if it’s caught in time.